With a rich history dating back to the mid-19th century, the site comprises some of the earliest structures built under British colonial rule. 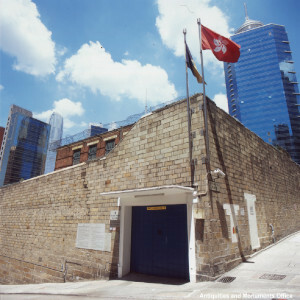 Through the generations, the site has constantly evolved to meet the needs of Hong Kong law enforcement requirements. The site is a unique cluster of relatively low-rise buildings sitting in a prime location in the heart of Central, Hong Kong. Its significance was officially recognised in 1995 when the former Central Police Station, the Central Magistracy and the Victoria Prison were listed as Declared Monuments. 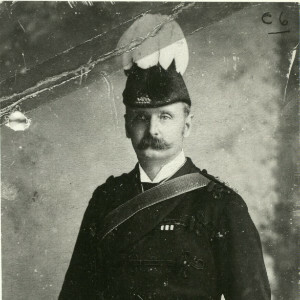 Captain William Caine was appointed Chief Magistrate to establish law and order and oversee the construction of the first magistracy and prison in Hong Kong. The Colonial Police Force was officially established. Charles May was appointed Superintendent of Police and suggested the reconstruction of gaols and a new magistracy. 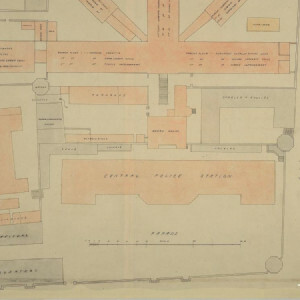 Prison overcrowding due to an increase in population and crime led to the redevelopment of Victoria Gaol Prison based on a radial plan. 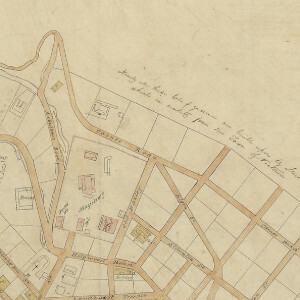 The Colonial Police Force expanded and the Central Police Station was moved from Wellington Street to the site. By 1864, the construction of the Barrack Block was completed. The site began to serve the functions of police station, magistracy and prison, forming an integrated law enforcement system. In 1893, Governor Sir William Robinson approved a further prison extension. New buildings were added and part of the Victoria Gaol’s radial-plan prison was demolished, leaving a T-shaped prison building. The Central Magistracy was reconstructed between 1912 and 1914 to house two courtrooms. The new building opened for its first judicial session in April 1915. A new Central Police Station Headquarters Block was built to the north of the Barrack Block. 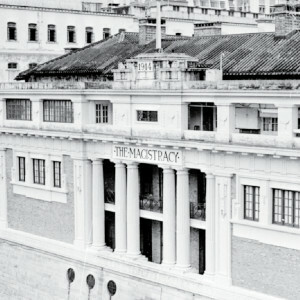 The façade facing Hollywood Road was built in a Neo-Classical style. Prisons came under the charge of the Prisons Department. Former Vietnamese communist leader, Ho Chi-minh, was arrested by the British authorities in Hong Kong and was held in Victoria Gaol. Victoria Gaol was briefly closed in 1937 after the prisoners were transferred to the newly-built Stanley Prison. It reopened in 1939 and part of the Victoria Gaol was turned into the Victoria Remand Prison. The compound suffered severe bomb damage in December 1941 and was subsequently used by the Japanese military until the end of WWII. The former Central Police Station, the Central Magistracy and the Victoria Prison reopened after post-war repairs and construction. 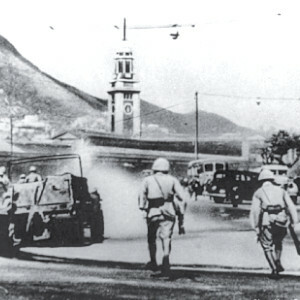 During the 1967 Riots, riot companies were mobilised to respond to emergencies all over Hong Kong Island. A control room was set up at the former Central Police Station to make arrangements for everyday needs such as food, rest, accommodation and duty assignments. Many riot-related cases were tried at the Central Magistracy and the Victoria Remand Prison served as a place of detention. Victoria Remand Prison was functionally changed into Victoria Reception Centre in 1967. 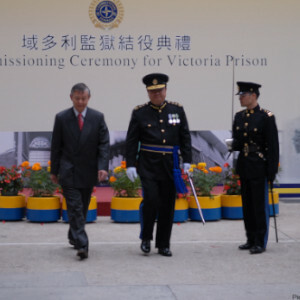 A decade later, with the opening of Lai Chi Kok Reception Centre, Victoria Reception Centre returned to its original function and was renamed as Victoria Prison. The Central Magistracy was decommissioned in 1979. The building was converted into the Supreme Court Annex in 1980. In 1984, the Central Magistracy building ended its judiciary function. Later, the building was used by both the Police and the Immigration Department. Due to the influx of illegal immigrants from mainland China, the government put an end to the “Touch Base" Policy, meaning illegal immigrants could no longer obtain the right of abode in Hong Kong from 26 October onwards. Victoria Immigration Centre was set up on 27 October in the Victoria Prison to process immigration offenders. The Prisons Department was renamed as the Correctional Services Department. Rehabilitation then became one of the main foci of correctional services. 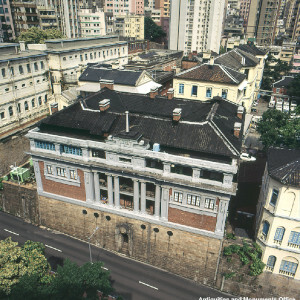 Bauhinia House, which had once been a guard tower in the 19th century, was converted into a half-way house for women inmates under supervision. The former Central Police Station, the Central Magistracy, and the Victoria Prison were declared as monuments under the Antiquities and Monuments Ordinance. The former Central Police Station was decommissioned in 2004, followed by the Victoria Prison in 2006. 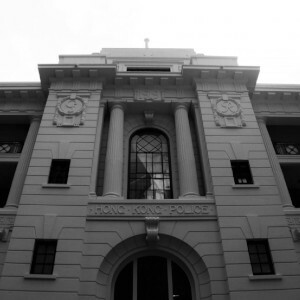 In 2008, The Government of the Hong Kong SAR and The Hong Kong Jockey Club announced a not-for-profit plan to fund the revitalisation of the former Central Police Station compound.